Not sure why they specified”in Thailand” as if they somehow figured everything out already. I have been following folks in their quest for riches in social networks. Many North Americans were reticient to get involved with UFun after the Telexfree fiasco. But there were others besides Thai folks participating in UFun. How do I know this? Because many of you approached me with this ‘opportunity’. Well it confused me so much, I simply didn’t get it. Maybe I’m losing my compensation plan analysis touch lately. LOL! No thank you. I’d rather jab flaming hot pokers into both eyes simultaneously for extreme pleasure than to touch UFun. Yawwwnnn….. The title itself demonstrates that it is an opinion piece “may’ … ‘B38bn’ “Thailand” are all speculative at best. But the gist of this mess is just more of the same and I roll my eyes as I re-write this and paraphrase what was written. Isn’t that what the so-call blog experts do to drive traffic? LOL! Yawwwnnn,… again…. 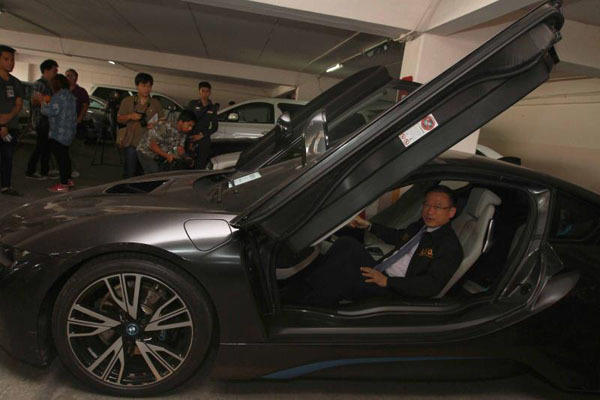 Let me see: What is 38Billion Thai Bhat? It converts to $1,175,489billion. Is that all? Enough to build 5 doll houses before Barbie and Ken moves in. The transnational online sales company Ufun may have cheated up to 120,000 members in Thailand out of about 38 billion baht in total through its alleged pyramid scheme, police said on Tuesday. I find it rather surprising that the ‘writer’ of this piece already knows that there were 120,000 Thailand members where UFun scammed the masses. I am willing to bet confidently $100,000 that the number is WRONG! I am going to err on the side of MORE than 120,000… more rolling of my eyes… This article could have been written in one short paragraph. Police had earlier estimated the combined loss suffered by the 120,000 Thai members of Ufun at 135 million baht, but new information showed the figure could reach 38 billi`on baht, assistant police chief Suwira Songmeta told a press conference in Bangkok. Oh yeah, the above paragraph supports what I am saying. They don’t know jack. And tomorrow, there will be more ‘new information’ in regards to how UFun scammed the masses. BREAKING NEWS! A Chicken attempted to cross the Road and A Motorcyclist just invested in Harold’s Chicken Malaysia! Maybe they should try NOT writing anything except for what they absolutely know. Nahhh.. that would be in juxtaposition to what journalists stand for. He urged people who were victims of the pyramid scheme to file complaints with police. Any monies recovered would be distributed on a first come, first served basis. So far about 110 people had filed complaints. About 400 police officers were assigned to receive complaints nationwide and people could file their details and relevant information at police stations and via the hotline number 1599, Pol Lt Gen Suwira said. 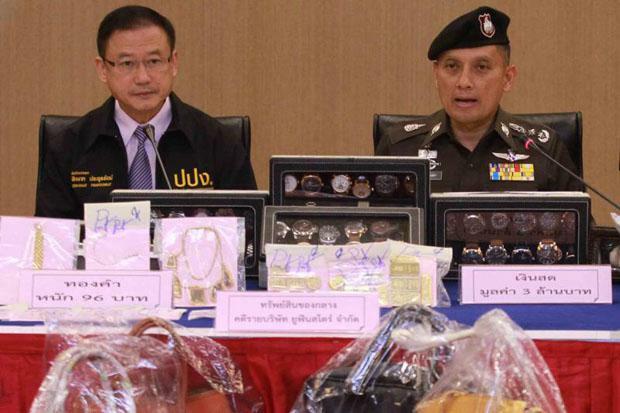 He also said police seized assets worth 250 million baht from Ufun Store Co, and they included 16 million baht in cash, gold ornaments and luxury cars. The assets could be put up for auction soon to raise money to recompense the victims, the assistant police chief said. The assets really are going to be put up for auction to raise money to support the police and government employees’ penchant for thievery. Ladies and Gentlemen, the majority money will NOT trickle itself to the self-proclaimed ‘victims’. I am willing to bet $100,000 on that as well. lol. UFun scammed the masses indeed. He urged Thai reporters to attend press conferences on the issue in Malaysia to acquire information for Thai police. He said there were free air tickets for the purpose. He quoted Malaysian police as reporting that a large number of Malaysians invested in the pyramid scheme operated by Ufun in Thailand. I would love one of those free air tickets to gather information for the Thai police! Vacation time. LOL! Let the spending begin! Suriya Singhakamol, director of the Bureau of Technology and Cyber Crime, said 20 Thai and foreign suspects were facing arrest warrants. They were key founders of the pyramid scheme and each of them had changed their names 3-5 times. Investigators also found that Ufun Store set up 3-4 subsidiaries to expand its fraudulent activities. Malaysians had initiated the scam and were among those facing arrest warrants, Pol Maj Suriya said. Are you really sure that the Russians and Norwegians aren’t the real ringleaders behind this scam? LOL! Or how about the Muskrats and GroundHogs Love of Chickens Support Group? The UFUN website is still operational with no plans of ceasing activity. The authorities state that the site will remain open to ensure that all members are able to be paid. UFUN executives have posted a YouTube video affirming that the company is not a pyramid scheme and that the police should allow the company to prove that they have no intent of cheating the public. The above paragraph is oh so wrong on so many levels… You figure out the cyclical redundancy therein.